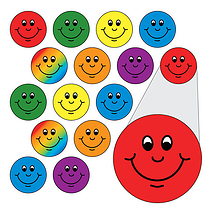 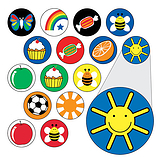 These lovely smiley face Diddi Dot stickers make brilliant classroom rewards for your pupils when they have behaved brilliantly or worked extra-specially hard. 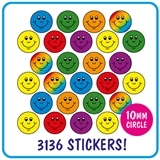 This pack contains 3136 10mm stickers. 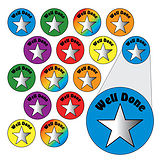 These stickers are also available in a smaller set of 196, search 'DD1'.